This Friday, 22.8 (holiday in Libya) I spent sorting out old photographs, papers, diaries and memorabilia, in anticipation of traveling in the coming week. One more year in Libya is over. I first came here in 2003 to try it out for a year and see. Now it has been over four years of working and learning here, through varied experiences. The Family of Man is large and went through the old photographs and momentoes. My father’s Army Medical Corps Badges. The Arsenal football team bag which Babu had given me last year when we used to train with Carlos and he used to live in Gnata, with a lovely Gulmohar tree giving a scented breeze. I remember how he called me up one night and said the finals of Copa America is coming live and then came to pick me up from Shara Jraba. We had a good time together. But Babu and Carlos are not in Tripoli any more. Things change fast in Libya and there is a constant flux of expatriates. Some stick on. Some go back. Some change their jobs and move to other countries. A box of pencils of different sizes. Shells and stones collected during the trips to Sabratha and Apollonia. Then I went through the sketches made in the past months. Sketch studies are a great way to enhance one’s knowledge and grasp of things. The sketch studies of “The Battle of Anghiari” by Vinci to the study of composition of great photographs- “The Steerage” of Steiglitz. Vietnam’s photographs of “The Great society” which claimed so many victims and continues to do so. A father’s burden, The Siege of Sarajevo, Brothers. Seeing the energies and tragedies unleashed through the events of the past decades. The books of Taschen series, which were introduced by John of Malta, or going back further, the BhagwadGita presented by Kishan Lal Sabharwal who reads it every day, five minutes in the morning, a chapter a day, for over fifty years. The story of art which has been a study which has given a window into the thinking of other cultures and also to examine more closely one’s own beliefs and practices. The study of various teaching practices, pedagogy, through specific case studies of Mirambika, a school iin Delhi based on the teachings of Sri Aurobindo. Medical books and papers. Research papers. The small pocket book series of 100 top diagnosis. Films of interesting cases. Photographs taken over the past two years in different houses and places visited. Arranged the framed photographs, the children at Lodhi, the Sanchi stups-Gateway of India series, to the Egyptian Pharoahs, Swiss Alps reflecting in blue waters. One box full of diaries and notebooks. The notings of the times gone by. Diary writing is a great way of adding dimensions to your life. Reflecting on works. The attempt to describe or narrate gives an added significance to any event. As a radiologist, I keep describing processes going on in patients and explaining to the treating doctors what is going on inside the patient. It is a picture-diary of the patient, of the disease. Real life is much more complex and richer. But the processes are similar. The processes of description and reflection. Having lived in the Arab world, working in the private medical sector, as millions of people from the sub-continent do, one reflects on the common realities of the Arabs, Indians, and the west. The layers of interaction, the way they perceive us and we them. What is the life of an Indian who lives here, away from his family? I started keeping diaries in 1983, as a 15 year old, in the year my maternal grandfather died after a prolonged battle with lung cancer. Keeping notes on the jogging done on the roads of Delhi cantonment, the number of kilometers covered. In 1984, I successfully completed the half-marathon. From diary noting and logbooks, the entries went on to the studies. The books I read in the British Council Library of Delhi. 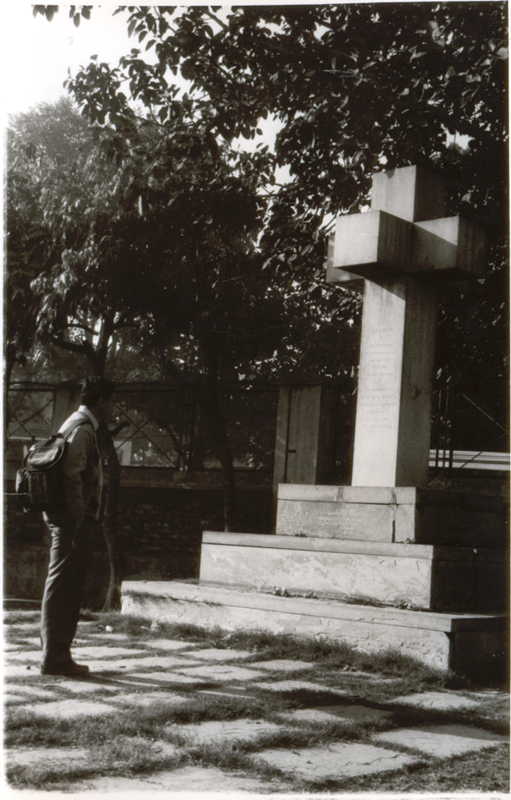 It used to be in the All India Fine Arts and Crafts Society(AIFACS) building of Rafi Marg in the early eighties. In two years (1983-85) I read many nice books and also saw many nice exhibitions of fine arts at the AIFACS hall. It was a long tiring day, with many memories coming alive as I filled the boxes. Trips and swimming at the beaches of Zanzour. Jraba parties. Photographing in the mornings at Assai Al Hamra. Lots of interesting memories of the year gone by. This entry was posted in Art, Learning, life and tagged Art, Diary, Libya, life, Tripoli, Walks. Bookmark the permalink.